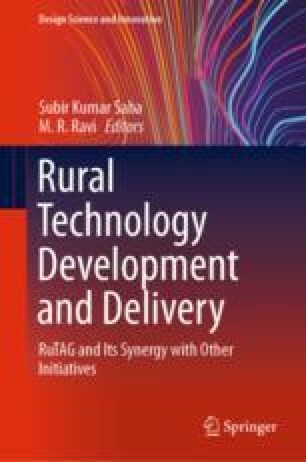 In this summary of keynote lectures and panel discussions, we assimilated the essence of the presentations and discussions delivered by the speakers and panellists during the 1st international conference on ‘Rural Technology Development and Delivery (RTDD): RuTAG and its Synergy with other initiatives’ at Indian Institute of Technology Delhi, India during March 9–11, 2018. Here, authors only summarized and compiled the details obtained from the keynote lectures and panel discussions of RTDD-2018. The authors of the summary sincerely thank all the keynote speakers for providing their presentation slides and those panel members who briefed their sessions.